Sushma Swaraj has recently been considering medical visa applications from many Pakistani nationals. 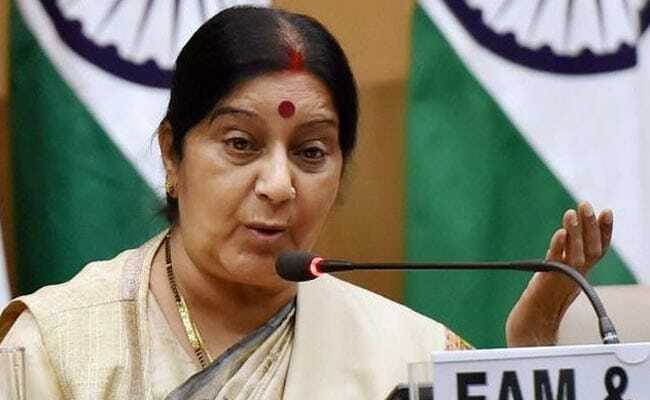 New Delhi: External Affairs Minister Sushma Swaraj confirmed on Twitter that the government will grant a medical visa to one-year-old Shireen Shiraz from Pakistan for the open heart surgery. The announcement came only hours after Hira Shiraz, Shireen's mother, wrote to Ms Swaraj on Twitter. "Ma'am Sushma Swaraj this is humble request to approve our pending visa request of my 1year daughter for her open heart surgery" Hira had written in her appeal to the External Affairs Minister. "We are giving visa for the open heart surgery of your one year old daughter Shireen Shiraz in India" Ms Swaraj tweeted back within hours. Shireen will be the third girl from Pakistan who has been given a medical visa for an open heart surgery, after approving the applications of 7-year-old Maha Shoaib from Karachi last month, and a 3-year-old girl from Lahore last week. It's not only parents seeking help for their children that Ms Swaraj is sympathetic to. When Noorma Habib asked for her intervention in granting medical visa to her father who she said needs an urgent liver transplant, Ms Swaraj duly gave a positive reply. The External Affairs Minister approved another medical visa for a liver transplant on Tuesday, when Pakistani resident Hamid Ali Ashraf reached out to her, asking for help for his father. Amid visa approvals, Sushma Swaraj also reached out to a tourist from "time tested friend" Russia, who had to resort to alms outside a temple after his ATM PIN got locked. Evangelin, a 24-year-old Russian, was in Kancheepuram when he was forced to seek alms as he found himself unable to withdraw money using his ATM card. He eventually arrived at the Kumarakottam Sri Subramanya Swami temple with his backpack and sat at the entrance, using his cap to collect alms. Devotees of the temple spared money for the Russian, but surprised at seeing a foreigner seeking alms, they alerted the police. The police allegedly gave him some money and directed him to go to Chennai and contact the Russian consulate. Ms Swaraj came to know of his plight, and tweeted saying "Evangelin - Your country Russia is our time tested friend. My officials in Chennai will provide you all help,".